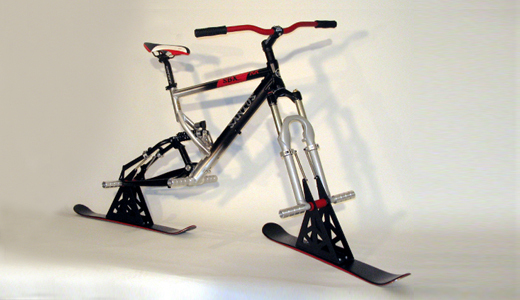 The product is a simle toolkit, which replaces the wheel of a bike with a ski. The Snowbike is easy to handle and proof to extensive stunting. The design was the result of a collaboration with the company Santos. Tested in Skidôme, Rucphen, 2005.